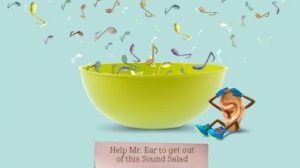 Sound Salad is a fun sound-object association game for kids. With Sound Salad, children will be able to improve attentive listening, concentration, as well as imagination and logical thinking. 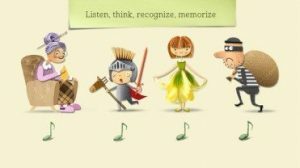 I thought Sound Salad had a creative and unique way of teaching children to focus. In the game, kids will need to help Mr. Ear to get out of the Sound Salad, a place in which all objects’ sounds got jumbled together. 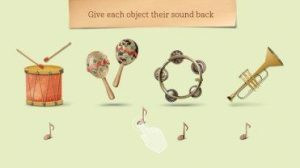 Throughout 8 levels, kids will be challenged to listen attentively to give each object back it’s proper sound, there are 96 carefully crafted objects with sounds. I like how parents can adjust the degree of difficulty for various ages – from Easy to Advanced, and even a speed game for those ready! 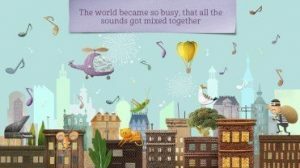 The app is geared to be accessible to various age groups, and kids as early as 3 years old could benefit by developing auditory perception, memory skills and logical thinking. As I mentioned, parents can select a difficulty level, which will present 2, 3, or 4 objects at a time. The speed game allows kids to play against the clock with an endless flow of objects and their sounds. I thought that Sound Salad was a unique app that teaches children important skill sets. 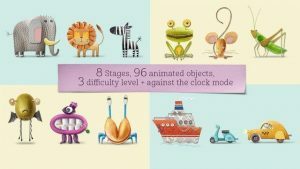 I like how the app is accessible for various ages and offers lots of positive reinforcement with funny animations after each successful turn. I would definitely recommend getting this app if you have a preschooler, kindergartener or even a younger elementary age child.